Melania Trump is a wonderful First Lady. She is such a “Lady” indeed! She’s full of compassion and respect for everyone and so beautiful too! She has touched the heart of millions with her wonderful way of understanding and love! She brings so much Class to the White House, which we haven’t had since Laura Bush resided there! 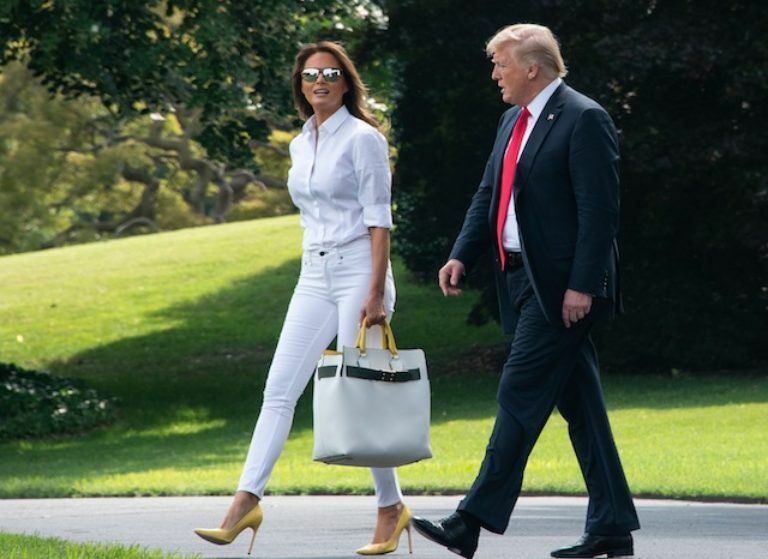 She showed off her perfect style when she was spotted in a pair of “Rag and Bone” white jeans as she and President Donald left the White House for a weekend in New Jersey. Photos below! 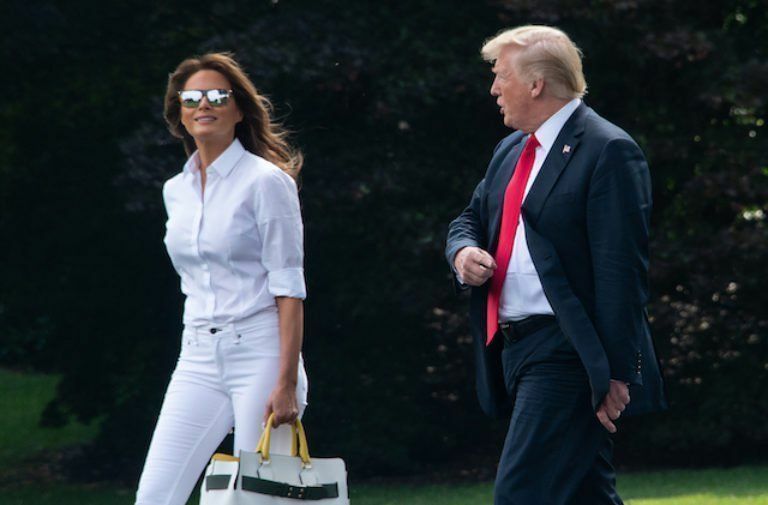 The first lady was all smiles as she stepped out in the head-to-toe white outfit, pairing the great jeans up with a three-quarter-length-sleeve, white button-up shirt. 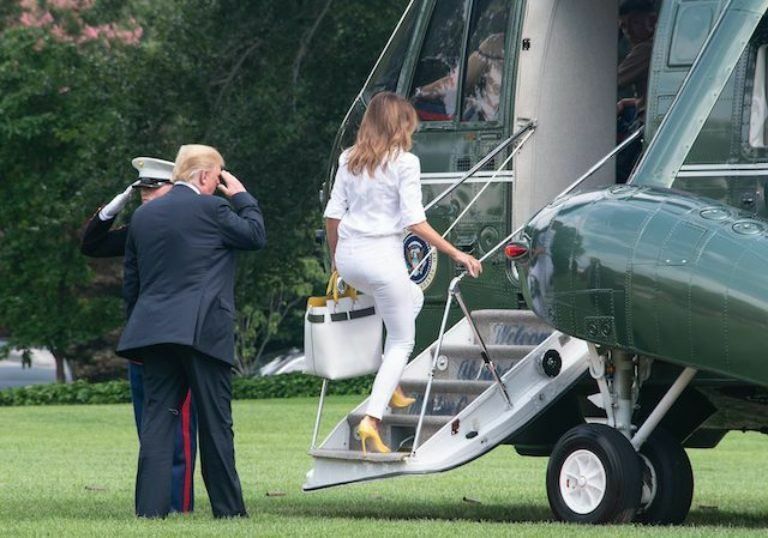 She completed the summer look with loose hair, bright yellow high heels and a large oversized purse with yellow and black accents as she and Trump boarded Marine One. You know what catches my eye immediately? Her lovely smile!! Many times her expression tends to be more serious (and that’s fine) but she really lights up when she smiles! She is also very lovely and classy no matter what she wears! Her wardrobe is impeccable whether she is in casual jeans or a lovely gown to great the Queen! Let’s see… CNN, MSNBC, etc. 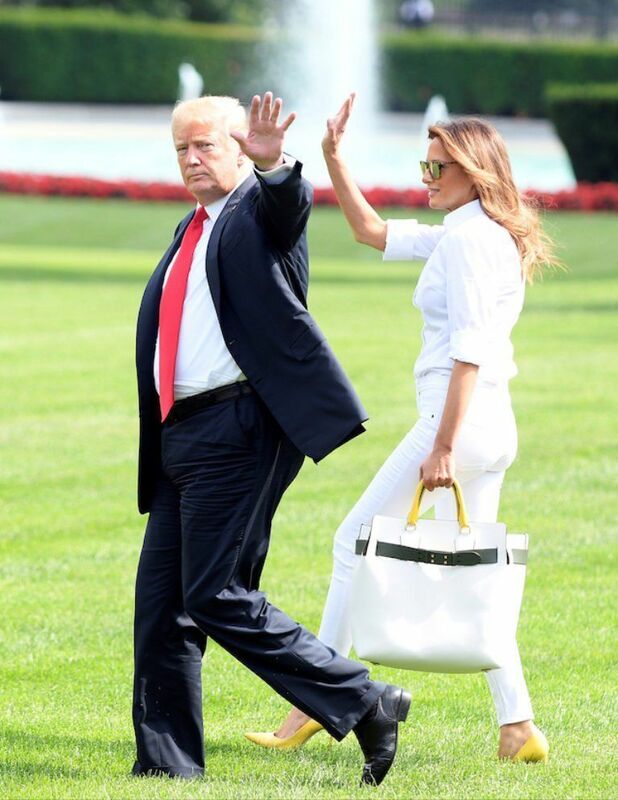 will be all in a tizzy reporting that Melania was carrying her purse in her left hand so the president couldn’t hold her hand…Some people hate her because of who she is, how she became who she is and why she has great peace and calm for who she is. 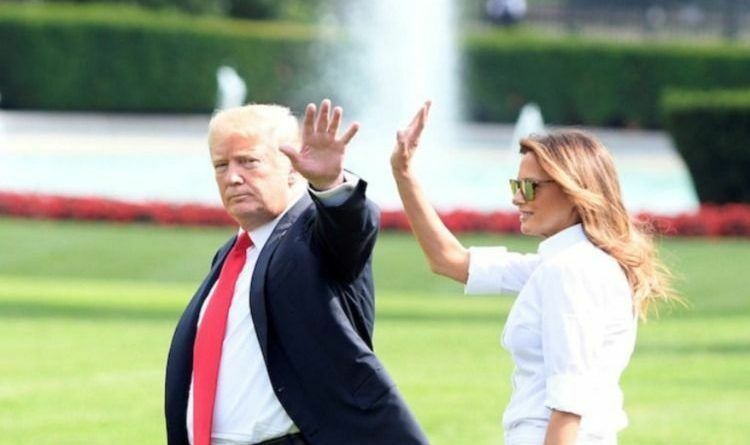 Within Melania is a great and calm strength. Her heart is genuine, her head is clear and her commitments are true. People who hate her actually are jealous because of her personal success in life to overcome and become all the beauty and class she is today. The New Jackie Kennedy! 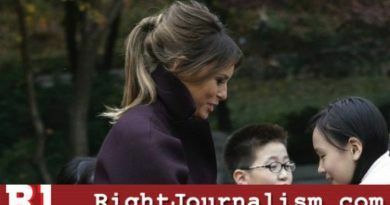 Melania’s Fashion Statement During S. Korea Visit Will Leave Mark Forever!